So we reach the halfway stage in our definitive 10 Commandments of Digital DJing, with a commandment that will help digital DJs to earn the respect of vinyl DJs, CD DJs and venue owners. Today’s commandment should help to ensure that when you’re DJing in pro DJ booths, you can play your part and join in fully, and feel more confident that you can handle any situation that might get thrown at you. Commandment #5: Know how to use at least CDJs and preferably records, as well as your digital gear. Watch the video below for a full explanation of this and why it’s so important, and if you’re rusty or your skills in these areas are non-existent, we’ve got a whole host of useful resources for you too to help you get up to speed. As with previous commandments, this one is part of our 10-day Campaign For Better Digital DJing, and we are asking you to click the Facebook Like button at the end of today’s post, if you enjoy it. This will pass the rule on to your friends on Facebook, and hopefully some of theirs, and we’ll be able to spread the word that digital DJs care about the art of DJing into the wider DJing community further than we’ve managed before. Unlike in the DJ controller market with lots of excellent brands all vying for your attention, in the CD arena, Pioneer’s CDJs have just about stitched it up. There are great models from other manufacturers, particularly Denon, but Pioneer is what you see everywhere. The CDJ-1000 is the model you’ll see the most of – they’ve been the club standard for many years, and went through three incarnations. 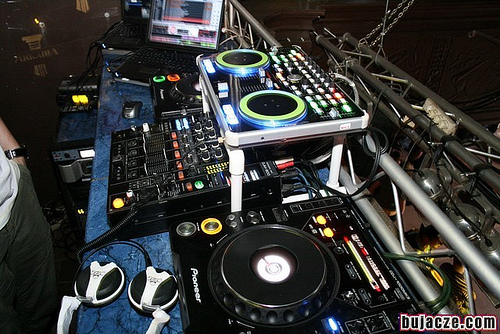 Now they’ve been replaced by the CDJ-900, and the new flagship model, the CDJ-2000. 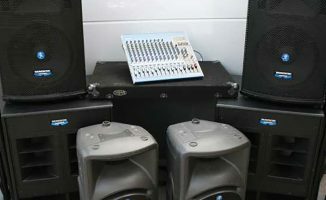 There are also lower-end models, aimed at home users, but the happy thing is they all work pretty much exactly the same way – which is, very similar to your DJ controller. If you can’t get a go on a pair, either in a local venue or via any DJing contacts you have who have some they’ll let you practise on, then the Pioneer DDJ-S1 and DDJ-T1 digital DJ controllers are basically CDJs with the mechanical CD bits ripped out – they’re a good place to get a feel for what CDJs are like. As a minimum, you need to be able to put a CD on, select a track and get it playing. That means that when you play gigs, you can have a CD lined up in case of disaster. 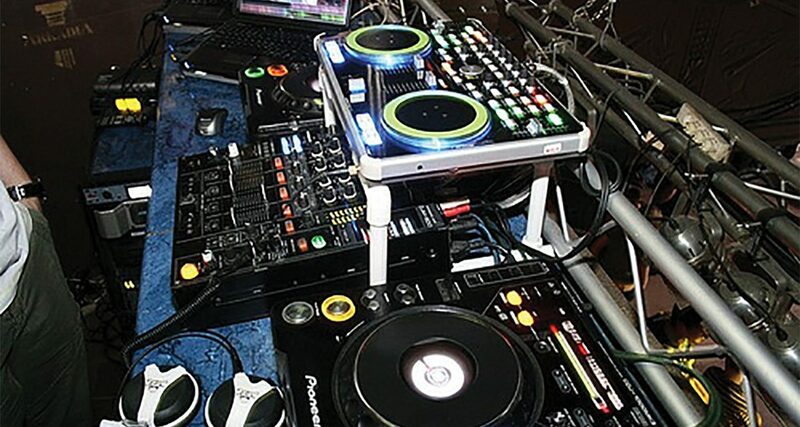 You also need to be able to stop it and switch smoothly over to your digital DJing gear. As far as turntables go, of course it’s all about Technics 1200/1210 Mk II – these two models (the different numbers indicate silver or black) have dominated for decades, even though they’re discontinued now. Get a friend to talk you through the basics if you can, and at least learn to put records on and mix out of them to your digital gear. It might sound silly, but you just need to be comfortable getting records out of their sleeves, cueing them up, starting them, and adjusting the speed etc. Nothing major – but imagine your embarrassment if you were asked to do this and couldn’t! Try and get a go on some Technics as soon as you can (nowadays you may come across Stanton, Numark or Vestax turntables too – they’re all very similar). you may decide that you’d like to get really good on vinyl or CDs (or both), and get yourself a full hybrid set-up at home. If so, How to Add Digital DJing to Your Existing Vinyl or CD Set-up will help you to make the right decisions regarding your gear. Fully digital or digital vinyl? 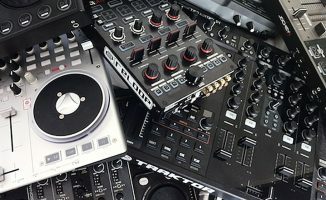 Many digital DJs struggle to decide whether they should use a controller, or go for a digital vinyl system line Serato Scratch or Traktor Scratch. There’s no right answer, so take a look at this reader’s question and the helpful answers to get a broader idea of whether digital vinyl could be for you: Over To You: Should I Sell My Controller & Buy A Digital Vinyl System? • Watch out tomorrow for the sixth of our ten “commandments”. And thanks again for your support – it’s truly appreciated. What are your views on our fifth commandment? Do you think it’s necessary for DJs to know how to use analogue gear? Or will all that stuff be history in a few years, so why bother? Please let us know your thoughts and experiences in the comments. I can’t get this video to show up at all. I’ve tried IE / Firefox / Chrome. I must have “liked” it three time without actually seeing it. Sorry dude, email me phil AT digitaldjtipscom and I’ll send you all the content at the end. My goodness Phil, how many midi controllers do you have? I seem to see a new one on each video. I wholeheartedly agree with you Phil. Not only is it good to learn the CDJ just in case your computer/controller fails you, but even just to push yourself to learn manual beatmatching for when the sync fails you. Some guys think it’s strange that I’ll manually beatmatch on my Xponent, but that’s how I came up. 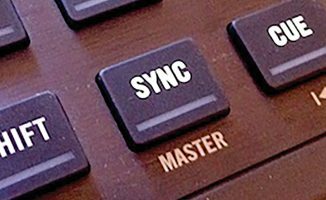 Yeah I use the sync at times, but other times I don’t. Depends on how I feel and I’m glad I can jump around. Yeah, we’ve got a pile of controllers here, but unfortunately none (apart from my humble but much loved VCI-300) belong to us! Absolutely agree. When I do my show I always have a CDJ loaded up in case Traktor crashes. I still love to beatmatch with CD and vinyl occasionally just so I don’t completely forget. The point is you should be able to use the industry standard gear, for the reasons pointed out. 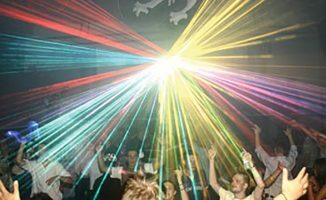 I wouldn’t book a DJ who couldn’t put a CD in a player and get the music going – it’s a basic skill and until CDJs are no longer in DJ boxes (same way that horses are no longer on the roads) – yes, it’s a good idea to learn how to use them. i can put a cd in a player (or 2 or 3) but that doesn’t make me any better than a genius who would play only from his laptop GOOD MUSIC. My point is: the ability to use antiquated equipment shouldn’t be a barrier to entry to new talents, just because you and I have played with CDs or vynils. If you judge the quality of a DJ by that skill (as a no-no), you’re shooting yourself in the foot! Yep totally agree a cdj is digital gear years ago when djs swithched from records to cd they would say that they were going digital. My friend, I have to agree with all this. Still I am one of those oldschool bastards who still say “analog is better than digital”. There is nothing nice a nice set of four direct drive turntables with that lovely clicking and popping coming from your classics being remixed with new stuff. NOTHING beats the vinyl. NOTHING. And vive la difference! I am torn as an old vinyl DJ too, and I love my Technics.